Very few ships at sea are as impressive as an aircraft carrier. The battleships of a bygone era – USS Missouri, HMS Warspite, or Bismarck, were extraordinary vessels, but they are now vanished from the world’s oceans. Carriers also grant the navy that employs them an extraordinary ability to strike at targets well inland and out of the range of even the largest guns. To put this in perspective, the most powerful naval guns emplaced upon a battleship could strike at targets some 26,000 yards away. A carrier plane can fly to ranges over a thousand miles – more if it is refueled in the air. This is called power projection. But a carrier is arguably the most difficult of all warships to operate. It is both a ship and an airport squeezed into a hull that, no matter how large, is going to be very cramped. Landing on a carrier requires the finest pilots and highly skilled deck crewmen. Further, even conventionally-powered carriers will have prodigious fuel needs, and nuclear carriers, while not dependent on fossil fuels, will demand expensively-trained nuclear technicians to keep their reactors running. China has just now, with the launching of the Liaoning, entered into the exclusive club of navies that operate genuine carriers – ships that can launch and recover fixed-wing aircraft, not just helicopters. The Chinese are taking things slowly. They purchased the unfinished hull of the Varyag, a Soviet-era vessel that was marooned in the newly-independent Ukraine when the USSR collapsed. It took a long time for China then to complete the ship, a sign of both the aircraft carrier’s complexity, which is true of all carriers, as well as the need to develop the requisite technical base to fabricate the parts to make the ship more than a floating hulk. It is interesting that China is getting into the carrier game now. While China’s maritime ambitions are nothing new, it does not appear that seagoing airpower is necessary for it to achieve its goals in the waters nearest to it, especially in the East and South China Seas. The Chinese seem to realize that the Liaoning is a learning vessel, and that it will be a while before it is truly ready for sustained combat operations. The U.S. Navy, which is the current master of such things, did not leap into carrier warfare all at once either. The ability of U.S. carrier strike groups to operate for long periods far from base was developed during the crucible of its Second World War battles with the Imperial Japanese Navy. Getting airplanes off the deck is no small feat. Coordinating their attacks, and mastering the time and space dimensions of carrier warfare, which are so different from that of old-fashioned, gun-equipped warships which can see their targets when they fire, was not something that came naturally to the Americans. At both Midway and Santa Cruz, the U.S. naval aviators had trouble synchronizing their attacks on the Japanese. Since the end of the war, the U.S. has retained its carriers to enhance its overseas diplomatic and military efforts. Is that what China is looking to do with its own carrier, or carriers, one day? Perhaps China feels that the only way to safeguard its interests in the Middle East and Africa is to have the ability to deploy military aircraft at sea. But Chinese carriers would be vulnerable to the same antiship missiles and other weapons that make the survivability of American carriers during a “hot” war so dubious. Carriers will be the first targets in any shooting war. China itself has deployed long range antiship ballistic missiles to strike at U.S. carriers. The Liaoning will face very similar threats when it is at sea. Apparently, China is willing to run that risk, that is, deploying a costly warship that will be the biggest target in its fleet, for the benefit of the diplomatic and power projection capability that it provides. Without doubt, the introduction of the Liaoning will probably cause more psychological distress among China’s neighbors than it will actually affect the balance of power there. The Liaoning is not so much a game changer in itself, but a harbinger, most likely, of things to come. A carrier is not a half-measure when it comes to things naval. It is too big, complex, and costly to be just a showpiece. Barring some complete reassessment of its strategic posture, China’s navy will likely deploy other carriers in the future, to enable it to influence affairs far from Chinese shores. Among other ominous developments, here is an article about the current situation in East Asia. According to the author, for many of the people of China and Japan, the Second World War never really ended. The resolution has been just been delayed a while. 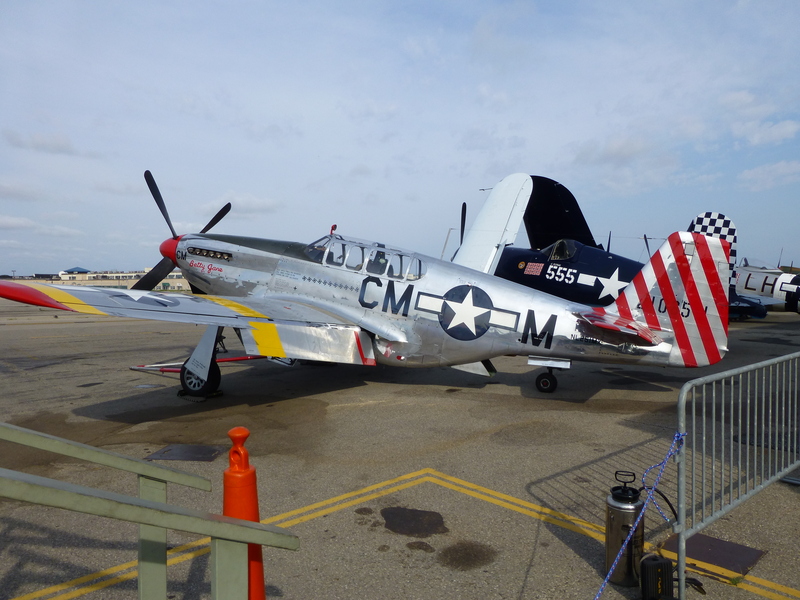 The rarely seen North American P51C Mustang. 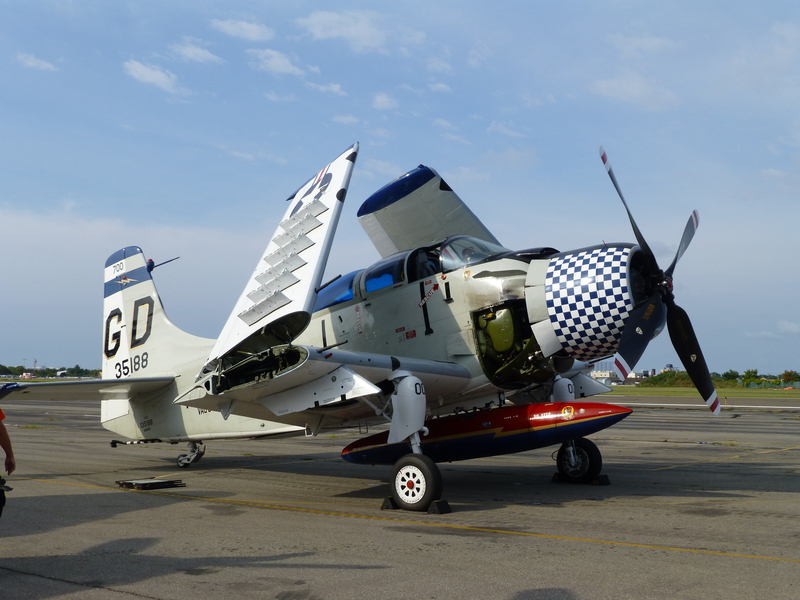 The Douglas A1 Skyraider carrier attack plane. 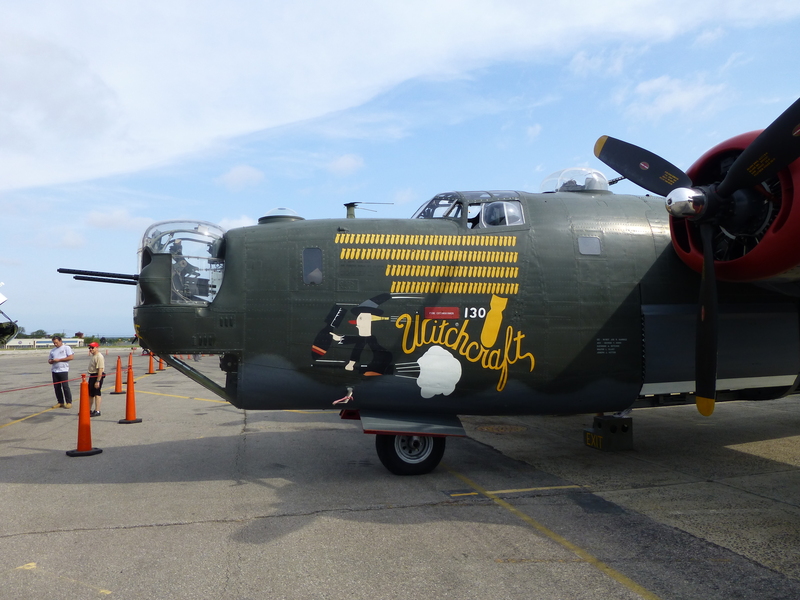 The Consolidated B24 Liberator heavy bomber. 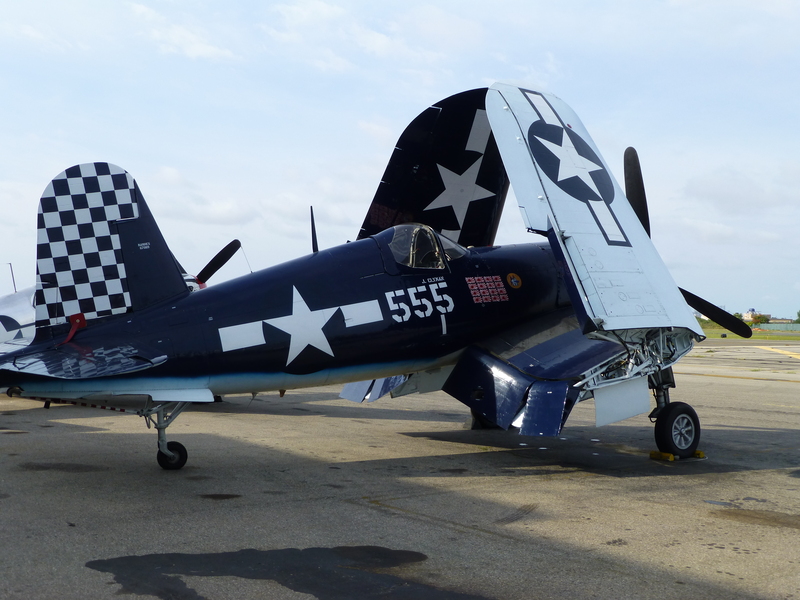 The Vought F4U Corsair – carrier fighter of the Pacific war. 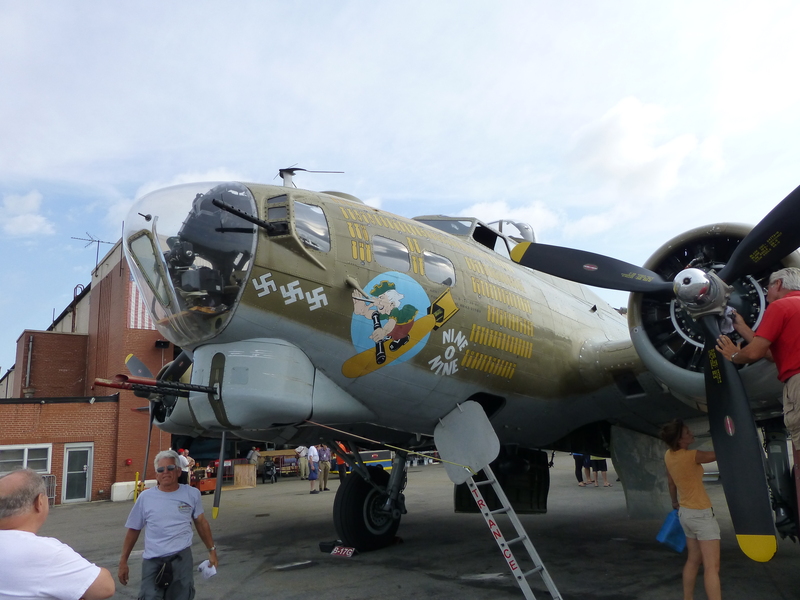 The Boeing B17 Flying Fortress heavy bomber – workhorse of the Mighty Eight Air Force.